Our wonderful teacher during the retreat, Ana Zilhao from “The Good Old-Fashioned Blog” . would you like to improve your photography and learn about visual storytelling? would you like to learn how to more fully and vibrant share your story and inspiring content on social media? would you like to gain a new supportive and motivating network of like-minded creative entrepreneurs, achievers and dreamers? would you like to spend a few days living and enjoying proper rural, slow and breathtaking Tuscan farm life? do you love flowers, just like us, and would like to experience them at the most beautiful Italian flower farm? THEN THIS RETREAT IS DEFINITELY FOR YOU! Puscina Flowers, the flowerfarm where we will enjoy a full day of photography and storytelling. A LEARNING ADVENTURE FOR LIKE-MINDED DREAMERS AND DOERS. Ana Zilhão, @_goodoldfashioned, and I are delighted and excited to invite you to a true culinary and floral Italian experience and retreat. We are highly motivated to give you the best tools for you to really improve your photography and storytelling skills. The approach on all retreats with Veronica Charlott Lifestyle is to enjoy a full slow living, tasteful, heartwarming and generous experience. 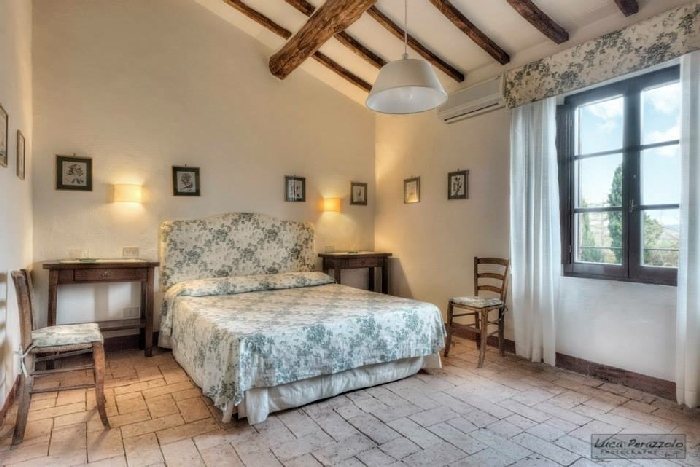 During our days together we will stay at a charming and tranquil Italian agriturismo where our rooms will be in typically Italian country style. The farmhouse invites plenty of characteristic and peaceful country living spaces where we will have our teaching sessions and enjoy our free time. All meals during the retreat will be home-cooked with local, seasonal and organic ingredients. I am Veronica, a Swedish former hotel manager turned writer and amateur photographer. I live in Seville, Spain. Furthermore I am the proud founder of these magical retreats where genuine and creative like-minded entrepreneurs gather and learn, share stories, experiences, and dreams. 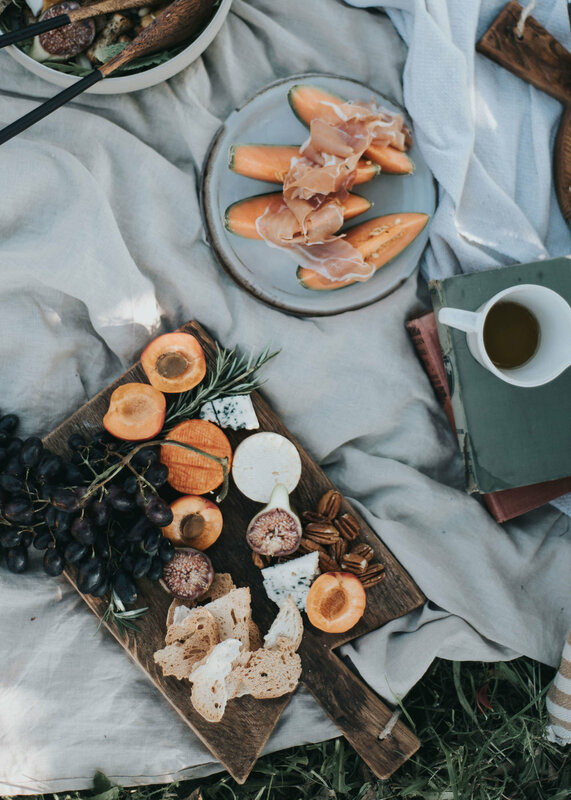 Lifestyle Retreats was designed with a clear vision of bringing heart-driven doers, dreamers, and creativepreneurs together at authentic breathtaking locations. I believe in the beauty of slow living moments, in the empowerment of motivating network and friendships, and that a genuine dream lifestyle is possible. Lifestyle Retreats by Veronica Charlott has been featured in international magazines. Read a beautiful article about a retreat in the French countryside here. 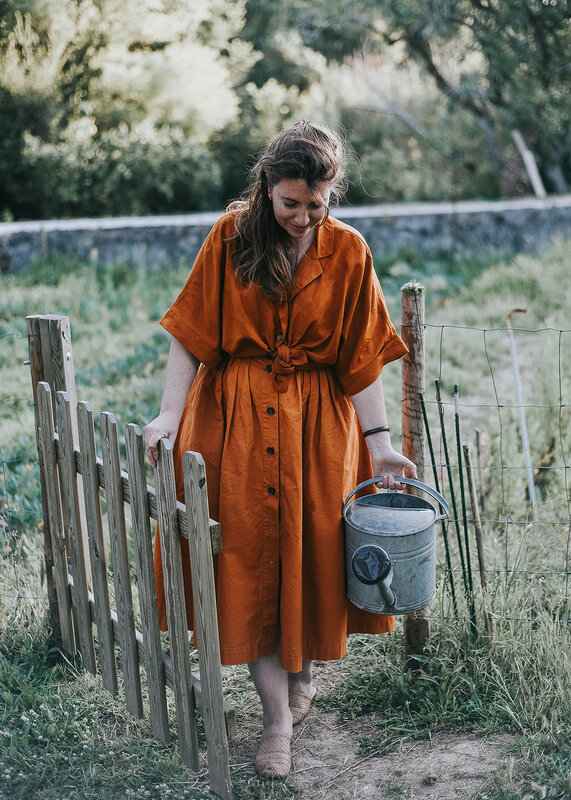 Ana is a Photographer and Storyteller from Portugal, constantly in pursuit of the joyful meaning in life, and how everything transpires in the simple things, like a walk in the forest, a freshly baked cake, the way the light hits a room or blooming jasmine on the sidewalk, nurturing Spring. It is her firm belief that an image should be more than just a pretty picture. It should be the path for new creative concepts, breadcrumbs for a story that each one may fill with their experiences. Ana has been featured in leading publications and worked alongside with a few international brands. She is also the author of The Good Old-Fashioned Blog and Instagram @_goodoldfashioned. We will start with a relaxing “meet and greet” evening with local delicatessen at Cosona, our charming Italian farmhouse. The first days of classes and workshops we will dig into the theory and basics of understanding photography and visual storytelling. Of course we will have plenty of time to enjoy our surroundings and local “musts” in between classes. On our second day, for example, we will visit a local prizewinning cheesemaker and then have a slow afternoon stroll in the picturesque village of Pienza. The third day will be a full day of practicing photography and telling stories at the marvelous flower-farm Puscina Flowers, a place that I promise will keep you inspired for a long time ahead. 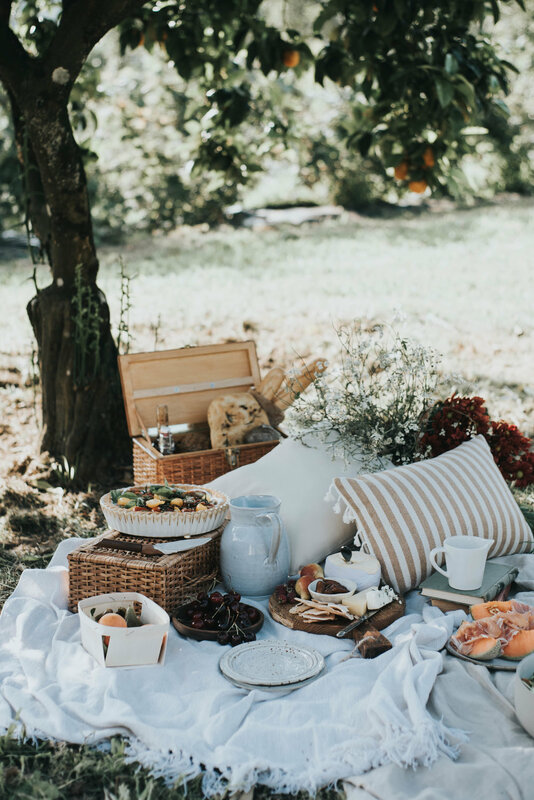 On the fourth and final day, we will experience another lovely agriturismo where we will continue to practice our capturing skills as well as being invited to another homecooked meal with a demonstration on how to make typical Italian pasta. Agriturismo Il Rigo, a stunning rural B&B where we will enjoy lunch and a pasta making demonstration. Photography is so much more than an image, it is the beauty of life seized in a moment. If you've always been curious about it, if you've always wondered how to achieve those staggering images you crave for but have no idea how to attain them, then search no more. In this Workshop, you'll learn the basics of Photography, the technicalities of shooting in manual mode, you'll master light and composition, but above all, you'll be able to understand that your camera is only a vehicle to capture your vision. Everyone has a story to tell and Visual Storytelling is like a poem with a thousand words. In this workshop, you'll be able to hone your distinctive voice and how to share it to the world. You'll understand the importance of a narrative in photography and how to shape your story in a unique way. You'll create dreams and sip out of the beauty of the simple things. A workshop that will alter your way of seeing the world around, the extraordinary of the ordinary. All classes and workshops including materials. Accommodation at Agriturismo Cosona, you can choose single room or shared double room, limited availability depending on when you book. Excursions and transportation during the workshop. Travel to and from the workshop. Airports include Rome, Florence (closest), Bologna and Pisa. When the group is completed and everyone has booked their tickets we will assist with suggestions on transportation to and from Pienza. We will try to set up a shared transport depending on where everyone will arrive, this transport will be an additional cost. One lunch and one dinner. (Lunch including pasta demonstration at Il Rigo, 35 Euros excluding beverages, to be paid directly at Il Rigo. The dinner in Pienza will be paid individually directly at the restaurant). Double accommodation with separate beds, 1300 EUROS. EARLY BIRD DISCOUNT! 100 EUROS for all bookings made before the 15th of April! PAY IN FULL and save 80 EUROS! See payment plan below. Prices include VAT for private payment, the event is not entitled for VAT for businesses. Upon registration you have the choice of pay in full single or pay in full double, with this option you are entitled to an extra 80 Euros discount and will pay a total of 1220 EUROS in single accomodation and 1120 EUROS in double accomodation if you register before April 15th. The second option at registration are payment plan single or payment plan double, here you will pay the full amount in two parts, the first due before 1st of June and the second no later than the 1st of September. If you register before the 15th of April you will receive 100 EUROS discount. MORE ABOUT PAST EVENTS HERE! Please understand that after sending in your registration we can not accept any cancellations. The event is hosted for a small group and very sensitive to changes, therefor we ask you to make sure you can participate before signing up. Here you may specify your flightnumber, arrival and departure times and place.